Lift-off. The current AORUS X7 DT is one of the fastest gaming laptops on the market. The new model, the X7 DT v8, packs an Intel Coffee Lake hexa-core processor, an Nvidia GeForce GTX 1080 GPU and a 144 Hz display. Find out in this review whether AORUS has done enough to put the X7 DT v8 at the pinnacle of gaming laptops. 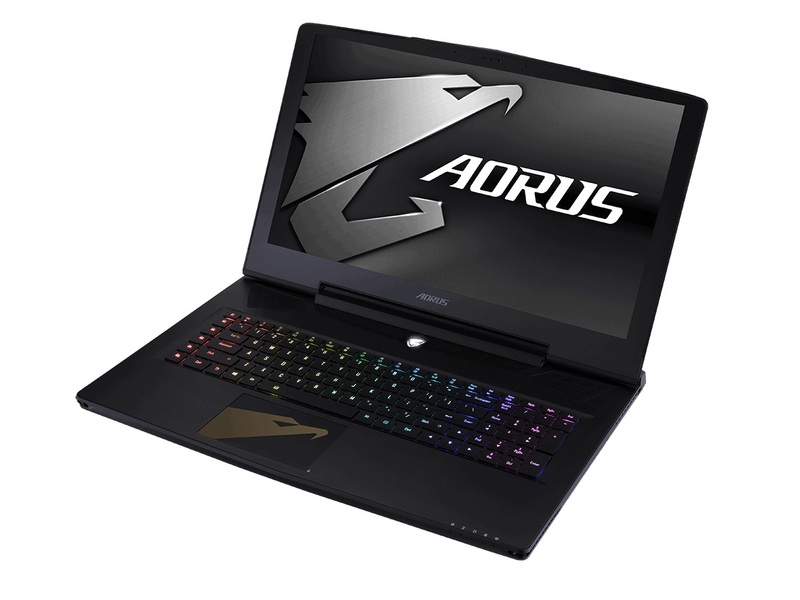 The only AORUS X7 DT v8 currently listed on price comparison site geizhals.de is our test configuration. 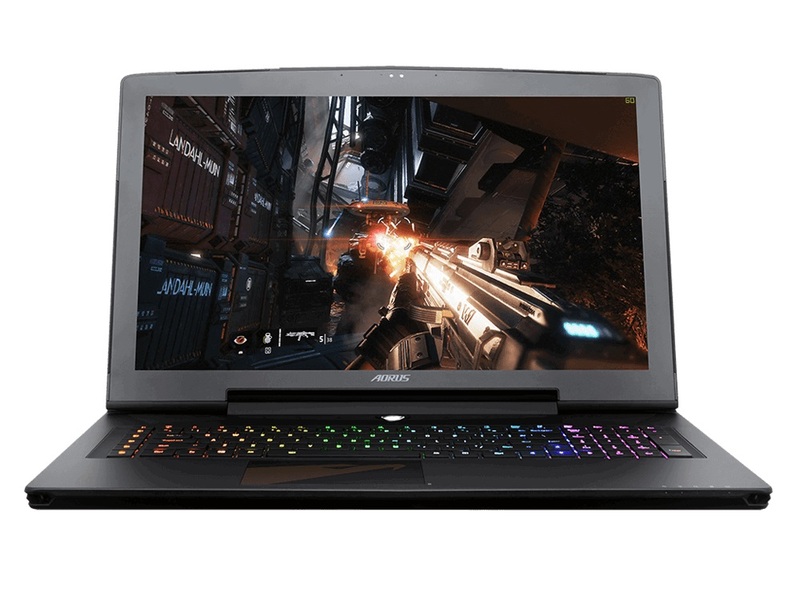 This configuration is currently priced at just under 3,100 Euros (~$3631), for which you get a device with an Intel Core i7-8850H processor, an Nvidia GeForce GTX 1080 GPU, 16 GB DDR4 2666 RAM, a 512 GB NVMe SSD and a 1 TB 7,200 RPM HDD. 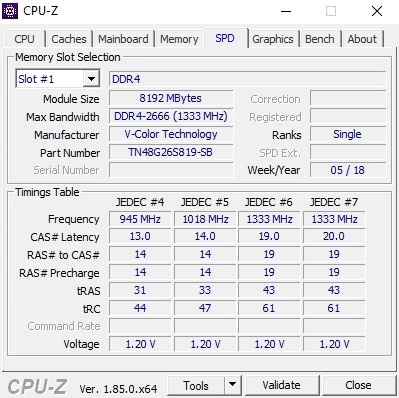 The i7-8850H is currently the fastest laptop CPU available for consumers. 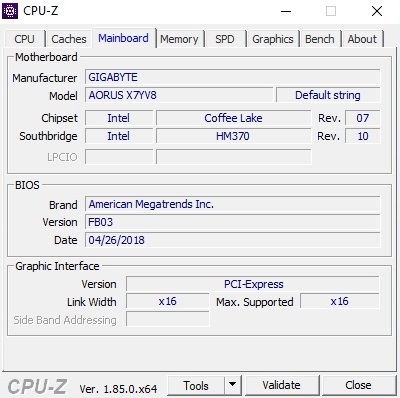 Gigabyte, AORUS’ parent company, has even thrown in a 144 Hz panel to sweeten the deal. , Two 8 GB SO-DIMM DDR4 2666 modules, Dual Channel. Two of four SO-DIMM slots occupied. 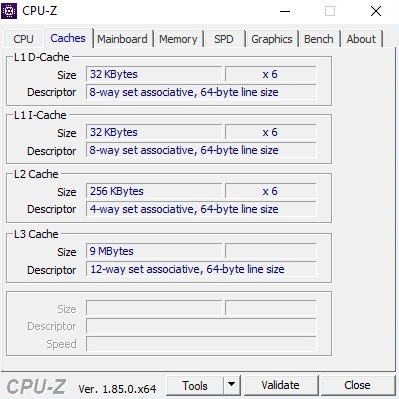 Maximum of 64 GB RAM supported. Most gaming laptops are equipped with either an Nvidia GeForce GTX 1060 or a GTX 1070, but there are plenty of laptops that are equipped with the GTX 1080 too. We have chosen to compare the X7 DT v8 against other 17-inch gaming laptops that are also under 3.0 cm thick. These are the Razer Blade Pro 2017, the Schenker XMG Pro 17, the Alienware 17 R4 and the MSI GE73 8RF. Briefly, AORUS has integrated the keyboard into the case as opposed to designing it to look like the keyboard has been added on top as was the case with the X7 DT v6. More excitingly, AORUS has modernized the X7 DT v8’s ports from its predecessors. There is a Thunderbolt 3 port, as is befitting of current premium notebooks. Moreover, AORUS has increased the number of USB ports to six, including the Thunderbolt 3 port. The card reader is blazingly fast too. Neither the case, nor the connectivity, nor the input devices have changed much between generations. As such, we will not be covering these in this review. Please see our review of the X7 DT v6 for information on these areas. The X7 DT v8 has an AU Optronics B173HAN03.0 panel with a 1920x1080 display, which at first seems like a step down from the v6’s 2560x1440 display. However, the X7 DT v8 has a 144 Hz IPS panel to the v6’s 120 Hz TN panel. This means that the v8’s display has stronger viewing angles and a higher refresh rate than its predecessors; this could prove useful when playing games. 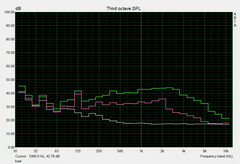 Our test device scored relatively well in our tests too, but it falls short of the competition overall. 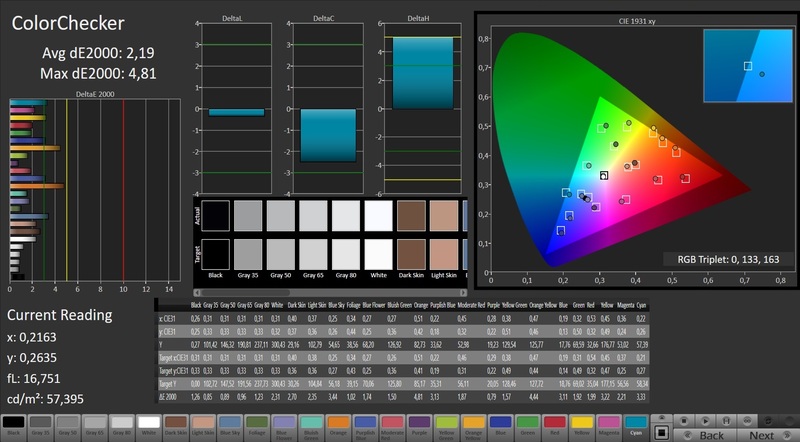 Our test devices scored an average maximum brightness of 280.8 cd/m² with X-Rite i1Pro 2, which puts the X7 DT v8 in the middle of our comparison devices. A highlight of the display is its X-Rite Pantone certification, which corresponds with the good values that our test device achieved. 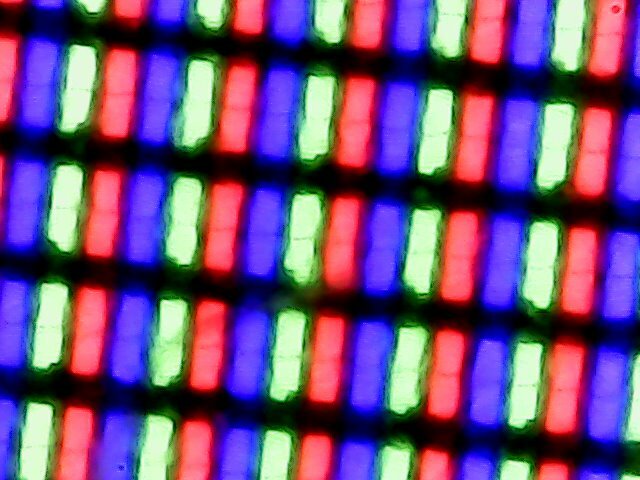 Our test device achieved a 1,291:1 contrast ratio and a 0.23 cd/m² black value, which is higher than many of our comparison devices. Our test device is 91% sRGB and 59% AdobeRGB accurate, which is decent for a gaming notebook. We would recommend that you check out the MSI GE73 or the 4K versions of the Razer Blade Pro or the Schenker XMG Pro 17 if you need a device with a wider color-space coverage. The average maximum luminosity is adequate for using the X7 DT v8 indoors, but it is rather low for outdoor use. Unfortunately, there is some backlight bleeding at the bottom of the display, but this phenomenon affects plenty of gaming notebooks. 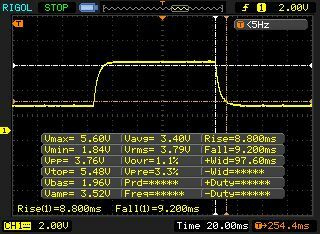 Positively, the X7 DT v8 does not use pulse-width modulation (PWM) to regulate display brightness. 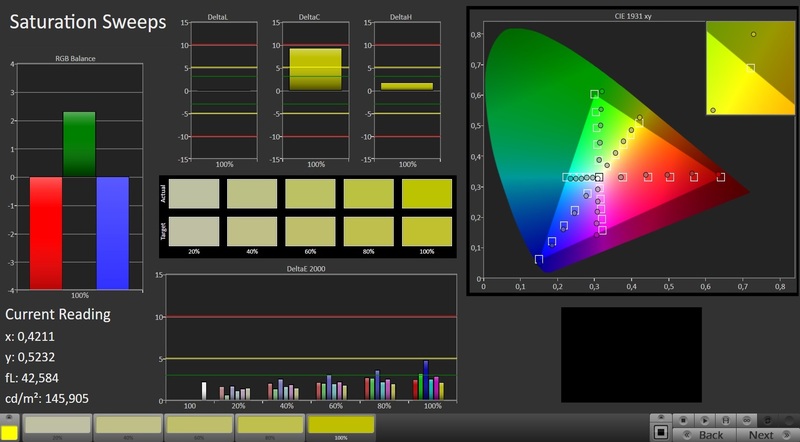 PWM can cause headaches and eye strain in some people, but this will not be a problem with the X7 DT v8. The X7 DT v8 packs plenty of useful manufacturer software, which benefits performance. There is Command & Control, which includes numerous features that are clearly laid out. 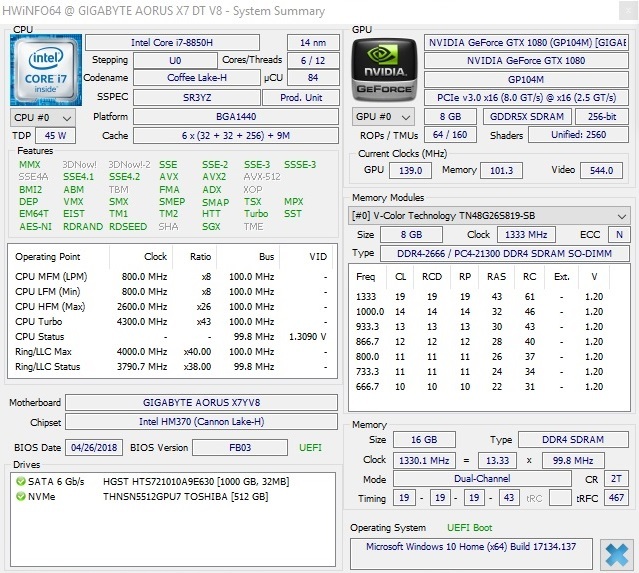 Additionally, Gigabyte includes a CPU and GPU overclocking utility that we disabled during our tests. 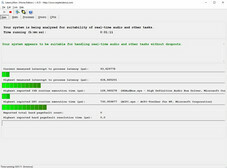 There are also several fan modes that range from “Quiet” to “Gaming”. 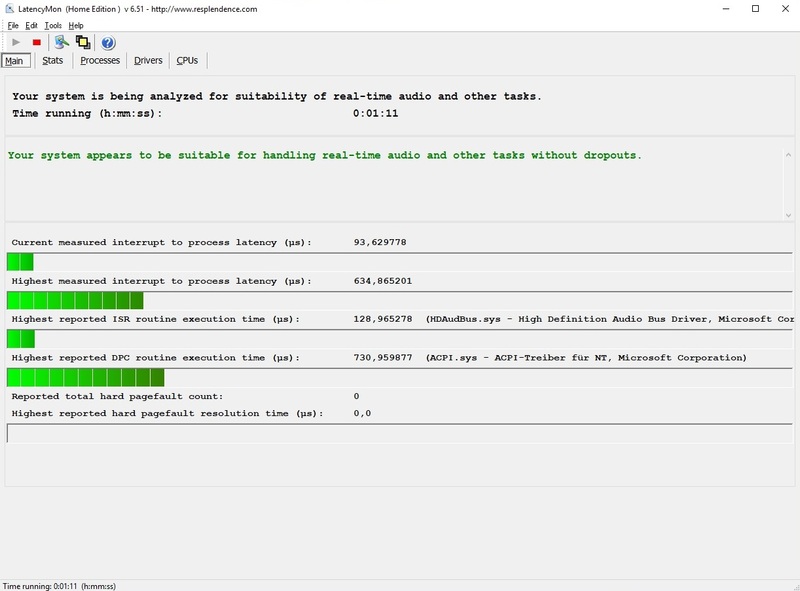 We set our test device to “Normal” for the purposes of our tests. For some reason, the energy-saving options are currently rather buggy. 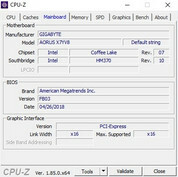 Setting the Windows Power mode to Balanced fixes the CPU clock speed at 2.8 GHz, but this bug is overcome by using Gigabyte’s power settings. We also used the Command & Control utility to adjust settings during our tests. The X7 DT v8 is equipped with an Intel Core i7-8850H processor, which is almost a temporary solution between the release of the Intel Core i7-8750H and the release of the more powerful Intel Core i9-8950HK. 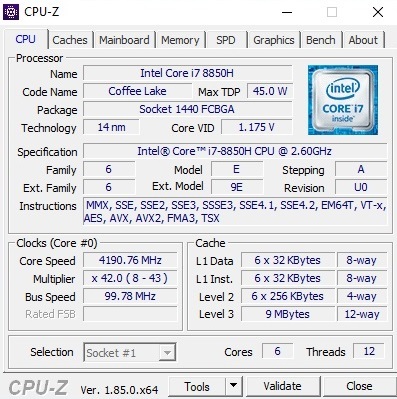 The Core i7-8850H is a Coffee Lake hexa-core CPU with a 2.6 GHz base clock speed that supports Hyper-Threading and Turbo Boost. 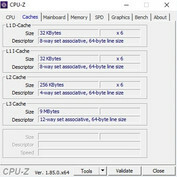 This means that the CPU can execute up to 12 application threads simultaneously and can clock up to 4.3 GHz when required. 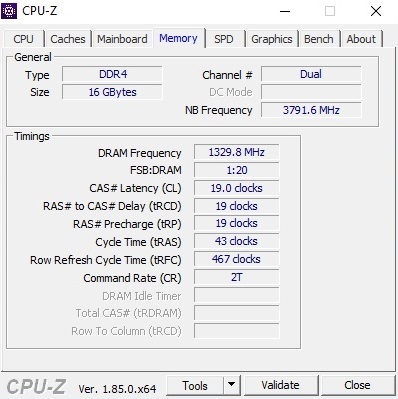 The X7 DT v8 is faster than all our comparison devices in CPU benchmarks. 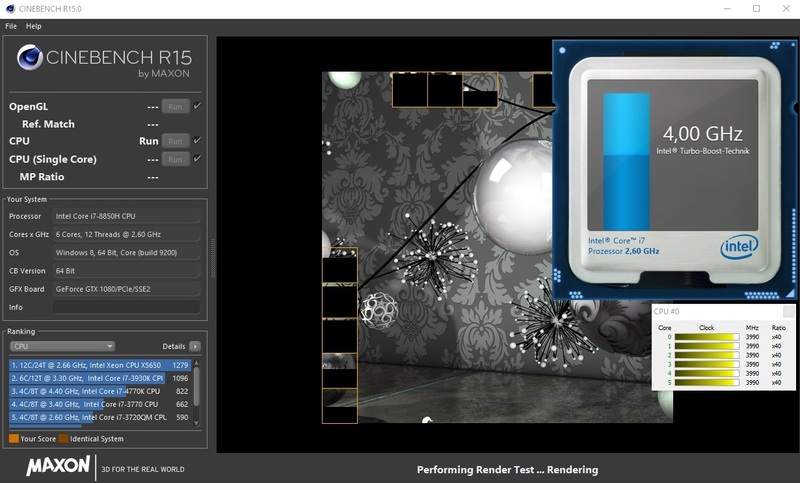 Our test device averaged 1,276 points in Cinebench R15 multi-core benchmarks, which is significantly higher than much of the competition. 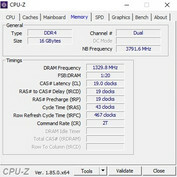 The X7 DT v8 is 10% faster than our best comparison device, which is the MSI GE73 with its Core i7-8750H processor. The difference between the Core i7-8850H and the Core i7-7820HK is much clearer though, with our test device scoring between 47% and 65% faster than its Core i7-7820HK-powered counterparts. 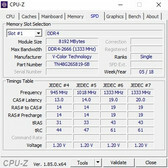 The Core i7-6820HK and Core i7-7700HQ are far behind the Core i7-8750H too, with the latter outscoring them by 53% and 74%, respectively. The X7 DT v8 has comparatively impressive Turbo Boost performance too. 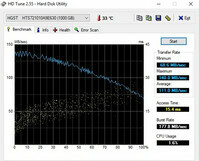 Our test device maintained around 4.0 GHz throughout our CPU benchmarks. 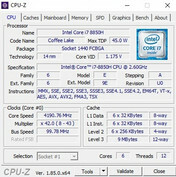 By contrast, CPU performance in other Coffee Lake-powered notebooks typically drops by more than 10% after 30 minutes of CPU benchmarks. The premium hardware helps the X7 DT v8 to score highly in our system performance benchmarks. 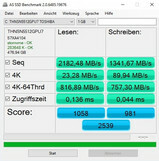 While our test device scored 1% and 21% less in PCMark 10 than the Schenker XMG Pro 17 and the MSI GE73 respectively, it is a clear winner in PCMark 8. Our test device is equipped with a 512 GB Toshiba THNSN5512GPU7 M.2-2280 NVMe SSD and a 1 TB HGST Travelstar 7K1000 7,200 RPM HDD. 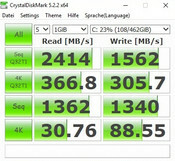 Our test device achieved 2,182 MB/s sequential read and 1,341 MB/s sequential write speeds in AS SSD benchmarks. 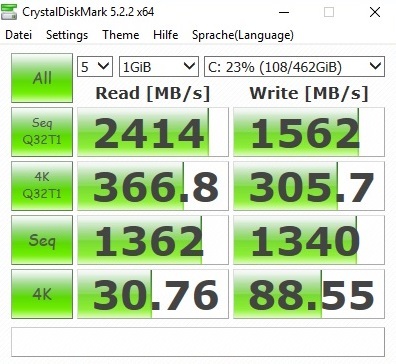 This is much faster than the MSI GE73 8RF, which uses a slower SATA III SSD. 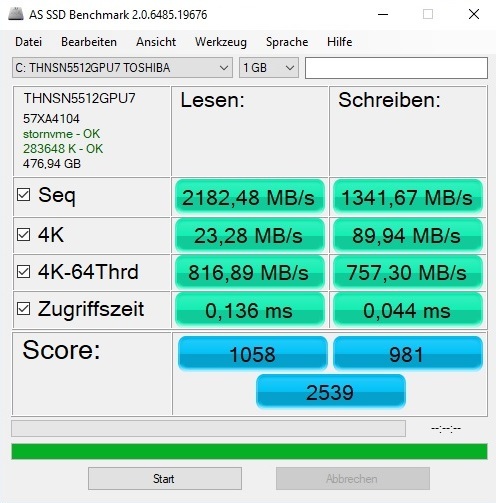 However, the Toshiba NVMe SSD cannot compete in benchmarks with its Samsung-made competitors like the SM951 or the 960 EVO. 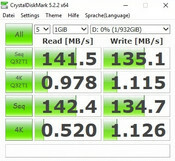 Alternatively, you could use the 1 TB HDD if storage runs low on the 512 GB SSD. 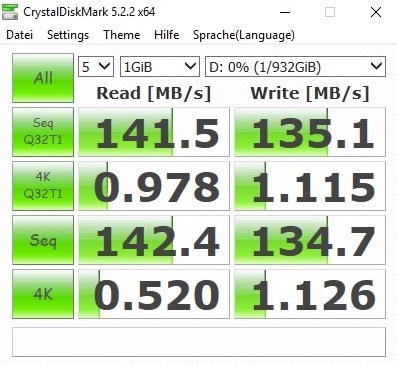 The 1 TB HDD will be a lot slower than the SSD in daily use, so you will see better system performance if you primarily store things on the SSD rather than the HDD. The X7 DT v8 is equipped with an Nvidia GeForce GTX 1080, which is currently the most powerful consumer laptop GPU on the market. 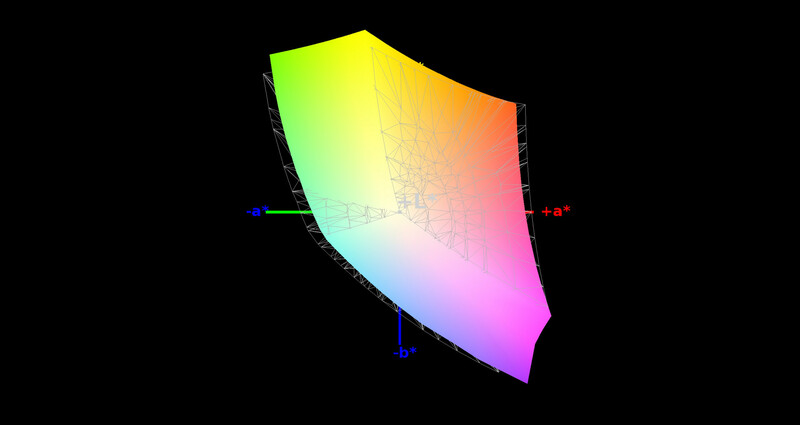 The GPU has 2,560 shader units, 8 GB GDDR5X RAM and supports DirectX 12. Our test device performs similarly to other GTX 1080-equipped laptops in benchmarks, with 3DMark Fire Strike and 3DMark 11 throwing up no surprises. The GTX 1080 has a 1,582 MHz base clock speed that can increase up to 1,896 MHz when required. Our test device performed well in GPU benchmarks, with the GPU maintaining a 1,810 MHz clock speed in Unigine Heaven 4.0 benchmark. 3D performance over an extended period is fine too. 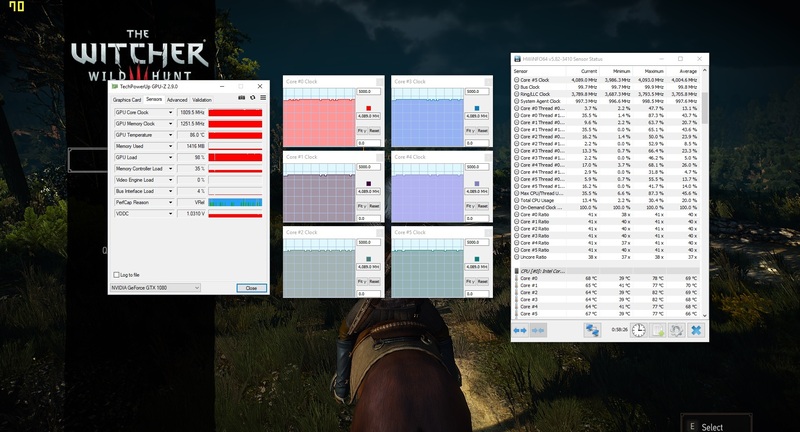 Our test device can play The Witcher 3 for an hour at 1920x1080 in full details without a problem; the CPU and GPU maintained their boost clock speeds throughout this test. The X7 DT v8 makes good use of its 144 Hz display. 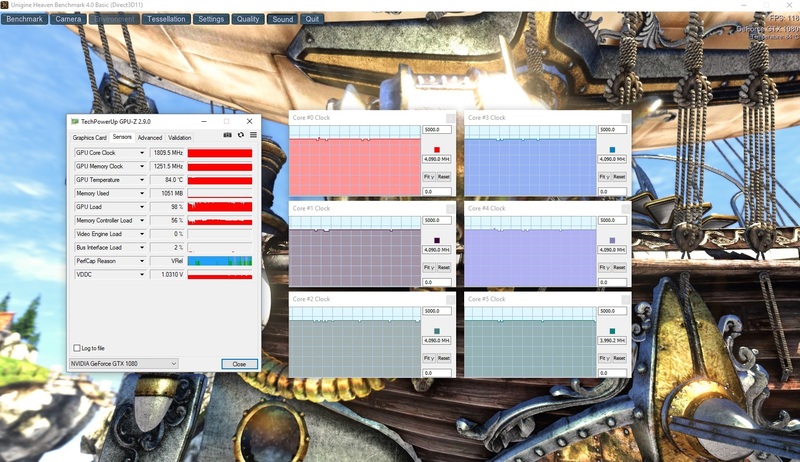 Our test device easily runs every game against which we tested it in 1920x1080 at maximum details. 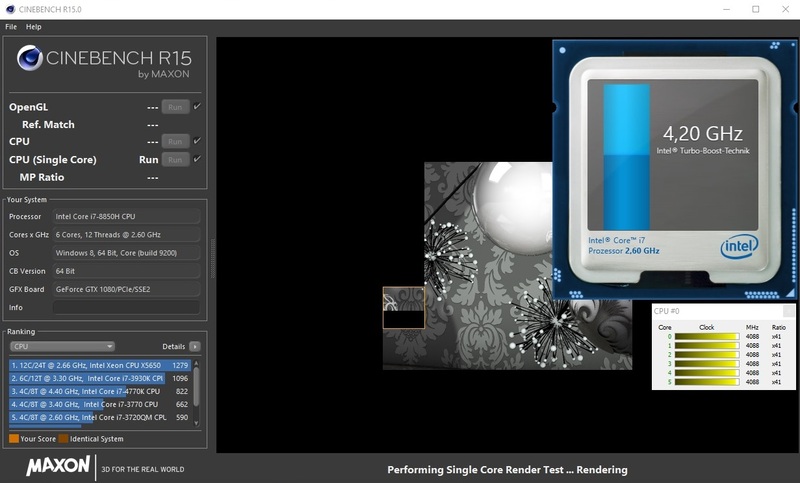 Our test device regularly exceeded 100 FPS in games, which looks smooth on the 144 Hz display. The only game that maintains 60 FPS is The Crew 2. However, this game has a 60 FPS lock, so feasibly the X7 DT v8 could run the game at a higher FPS if this limitation was removed by the developers. The X7 DT v8 also supports Nvidia G-Sync, which ensures that games play smoothly and without screen tearing. 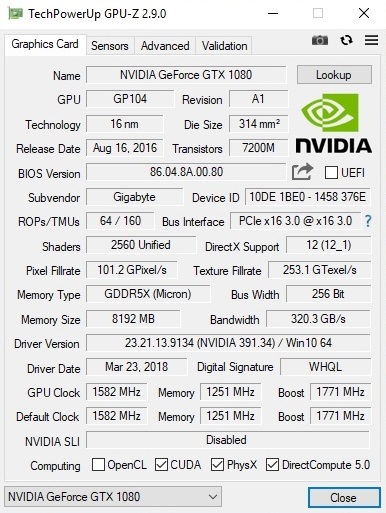 The device does not support Nvidia Optimus technology though, which would allow the system to switch between the low-power Intel UHD Graphics 630 and the GTX 1080-dedicated GPU. 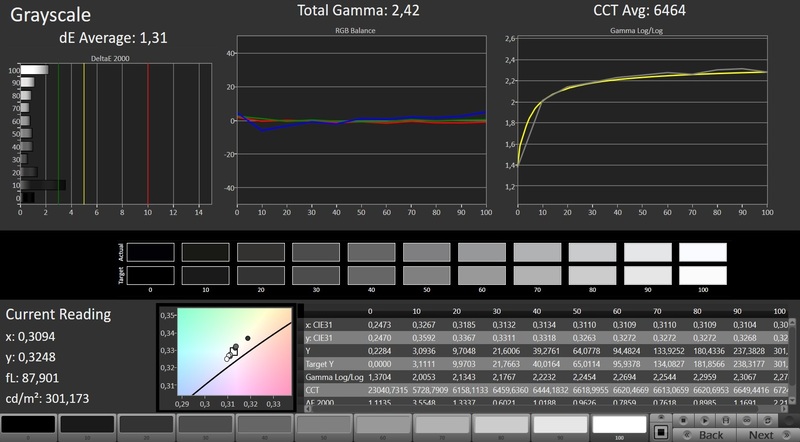 Optimus technology allows systems with Nvidia GPUs to draw less power when they do not need it. Typically, the X7 DT v8 gets very loud when gaming. While our test device achieved a relatively modest 43 dB(A) in 3DMark06, fan noise reached 53 dB(A) in The Witcher 3 and a maximum of 54 dB(A). Fan noise is relatively loud at idle too, with our test device averaging 36 dB(A) and reaching a maximum of 41 dB(A). You could set the fan to Quiet for a quieter experience, or even manually control the fan within the Deep Control utility. Overall, the fan noise is comparable to many other gaming laptops, but it is significantly louder than slimmer devices. The X7 DT v8 is a very hot device under load. 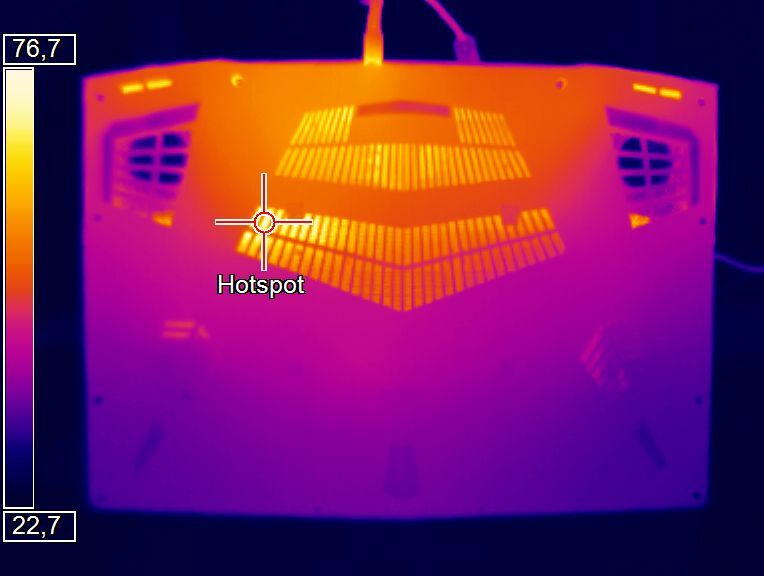 Our test device reached a maximum of 51 °C on the top case and 63 °C on the bottom case under maximum load. Maximum surface temperatures were slightly lower when playing The Witcher 3 at 47 °C and 59 °C, respectively, but these are hot nonetheless. Surface temperatures averaged 45.2 °C during The Witcher 3 and 48.7 °C under maximum load, but these are both too hot for gaming with the device on your lap. Idle temperatures are much better though, with our test device averaging 26.3 °C on its top case and 26.8 °C on the bottom case. Maximum surface temperatures at idle are marginally higher too at 27 °C and 28 °C, respectively. 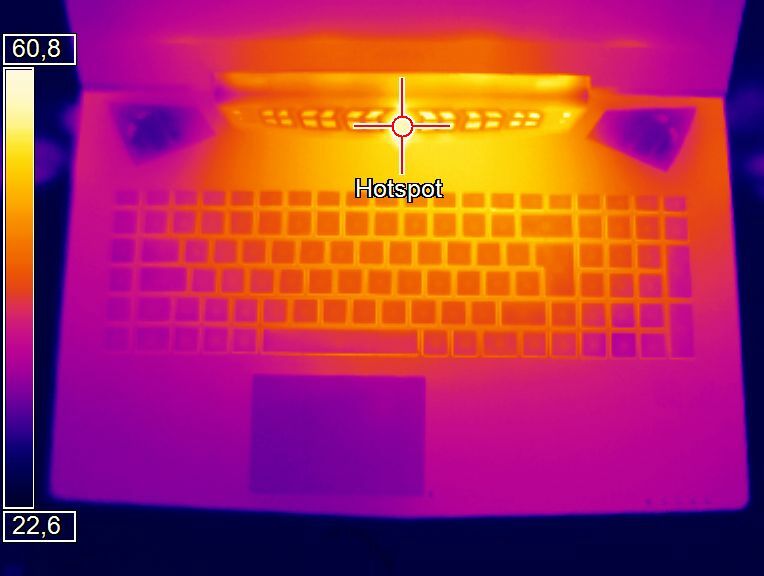 Internal temperatures are hotter still but without thermal throttling. 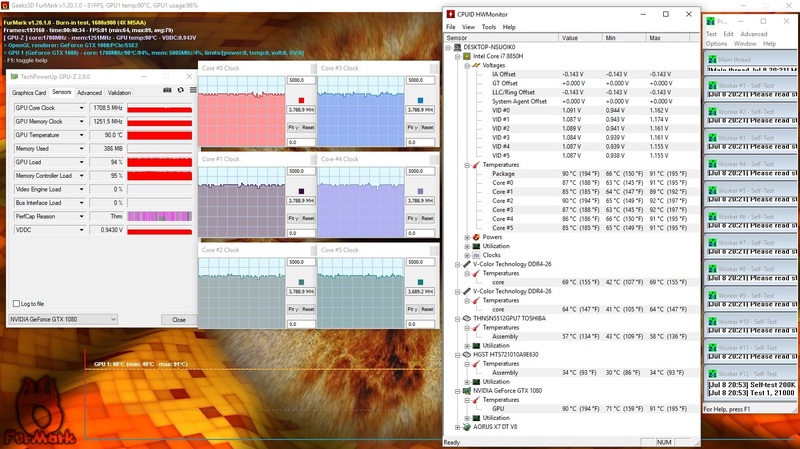 The CPU and GPU core temperatures sat at just below 90 °C during our 60-minute combined FurMark and Prime95 stress test. The X7 DT v8 has high power consumption, as may be expected by its powerful hardware. Our test device consumes a minimum of 23 W at idle, which is considerably lower than other GTX 1080-powered devices but is higher than GTX 1070-powered competitors. We recorded a 37 W maximum power draw at idle, which is closer to other GTX 1080-powered devices than the minimum value. Overall, the X7 DT v8 consumes just over 10 W more than GTX 1070-powered devices. As expected, power consumption ramps up under load. Our test device draws an average of 115 W under load, which can increase up to 281 W. This maximum value is higher than all our comparison devices and is higher than the included 265 W power supply. 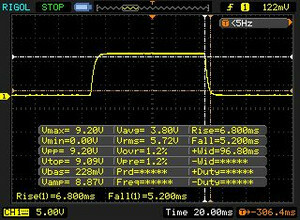 It is worth noting that the power supply provides 255 W to the notebook and uses 10 W for its USB port. This maximum value should not be a problem for charging though as our test device consumed 225 W while playing The Witcher 3. This should mean that the device will not lose charge while gaming. The X7 DT v8 has a 94 Wh battery, which is on par with other GTX 1080-powered devices. Despite this, our test device has only a mediocre battery life, potentially because of the lack of Nvidia Optimus graphics-switching technology. Our test device lasted 3 h 48 m in our Wi-Fi battery test, during which we run a script that simulates the load required to render websites. 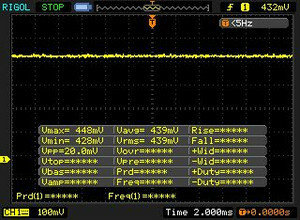 We set the display brightness to 150 cd/m² for this test. Battery runtimes are equally mediocre during our idle and load battery tests too. Our test device lasted for 4 h 56 m while idling with display brightness set to a minimum and Wi-Fi switched off. Likewise, the battery only lasted 80 minutes with the device operating at full load with the brightness set to maximum. It is worth noting that gaming performance dropped by around 40% in The Witcher 3 when we were gaming on battery to when we were gaming on mains power. 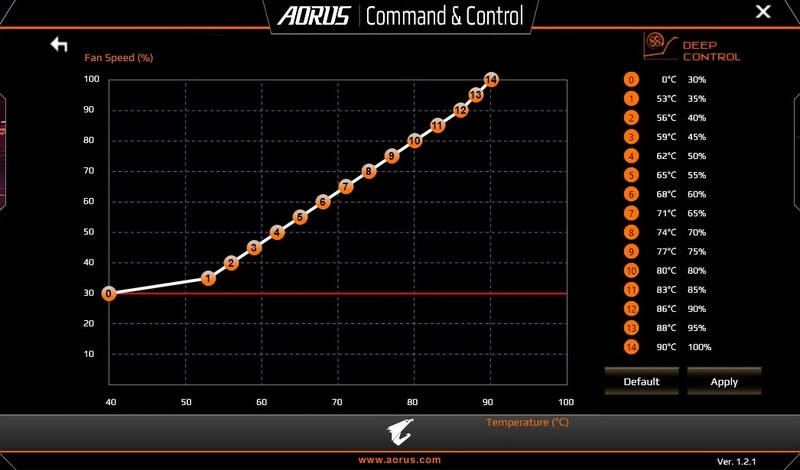 The AORUS X7 DT v8 in review. 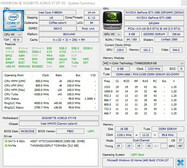 Test device courtesy of Gigabyte Germany. 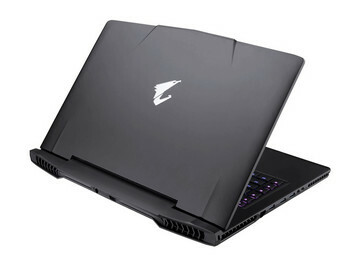 The AORUS X7 DT v8 continues Gigabyte’s tradition of producing smartly designed and high-performance gaming laptops. The X7 DT v8 scores well for its sturdy metal case, its decent selection of input devices and for its high-contrast, 144 Hz, and Full HD IPS display. The combination of an Nvidia GeForce GTX 1080 GPU, a 144 Hz display and Nvidia G-Sync ensure a smooth gaming experience that few laptops can match. The hexa-core Intel Core i7-8850H processor should be plenty powerful for many years to come, while the 16 GB of DDR4 RAM and the NVMe SSD ensure that the X7 DT v8 has smooth system performance regardless of the application thrown at it. These high performance components come at a cost to surface temperatures, fans noise and battery life. The X7 DT v8 feels hot to the touch under load, with fans getting correspondingly loud. This high power consumption and lack of graphics-switching technology results in mediocre battery life even with the huge 94 Wh battery. Speaker quality is second rate too and should be better, given the X7 DT v8’s price tag. 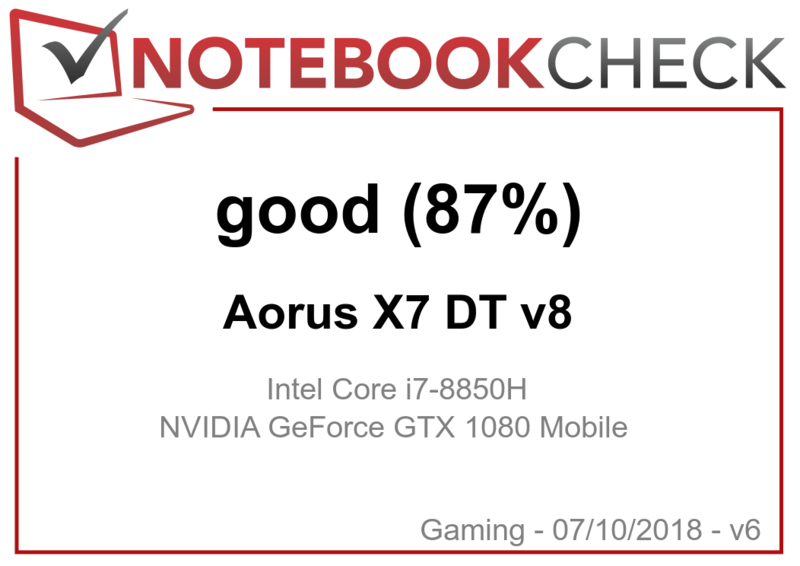 Overall, the AORUS X7 DT v8 is an excellent gaming laptop that will deservedly sit in our top 10 list. Gigabyte has done just enough for us to score the X7 DT v8 higher than both the GTX 1080-equipped Alienware 17 R4, and 4K Razer Blade Pro and the GTX 1070-equipped Schenker XMG Pro 17 and MSI GE73 8RF.